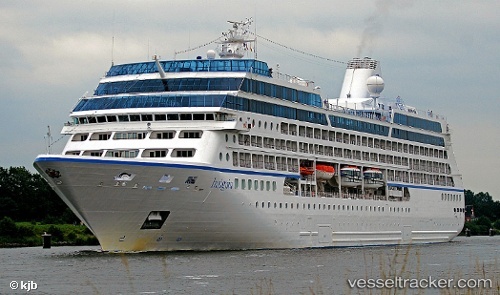 The 180 meter long passenger cruise ship Insignia caught fire while berthed in Castries, St. Lucia. The fire broke out in the vessel’s engine room and the Insignia lost power. The crew was able to contain the fire it was quickly extinguished. However, five persons, crew and contractors, were working in the engine room at the time. All were taken to hospital for smoke inhalation with 2 contractors and 1 crewman perished from their injuries. All the passengers were evacuated off the vessel. Reports state passengers and crew were being accommodated at local hotels until transportation can be arranged.